A total had been successfully defended in three out of five matches on slow Feroz Shah Kotla surfaces this season. There was no reason why Sunrisers Hyderabad, with one of the best bowling attacks in the competition despite Ashish Nehra's absence, couldn't defend 163 in a knockout game. Kolkata Knight Riders, the two-time champions, had won six out of their eight games chasing. This was an even contest on a pitch fairly similar to the ones at Eden Gardens. 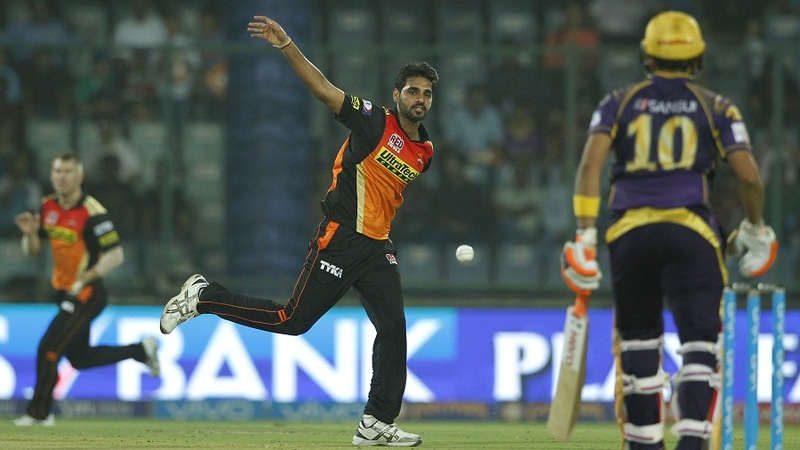 But disciplined bowling and outstanding fielding by Sunrisers derailed Knight Riders and by virtue of the 22-run win, Sunrisers have set up a clash with Gujarat Lions in the second qualifier in Delhi on Friday. It wasn't a night for manic six-hitting but Yuvraj Singh's 30-ball 44 had all the elements that made him a feared limited-overs batsman once upon a time. Yet the effort that underlined his importance on Wednesday was a direct hit from backward point to dismiss Colin Munro early and induce panic among the Knight Riders.